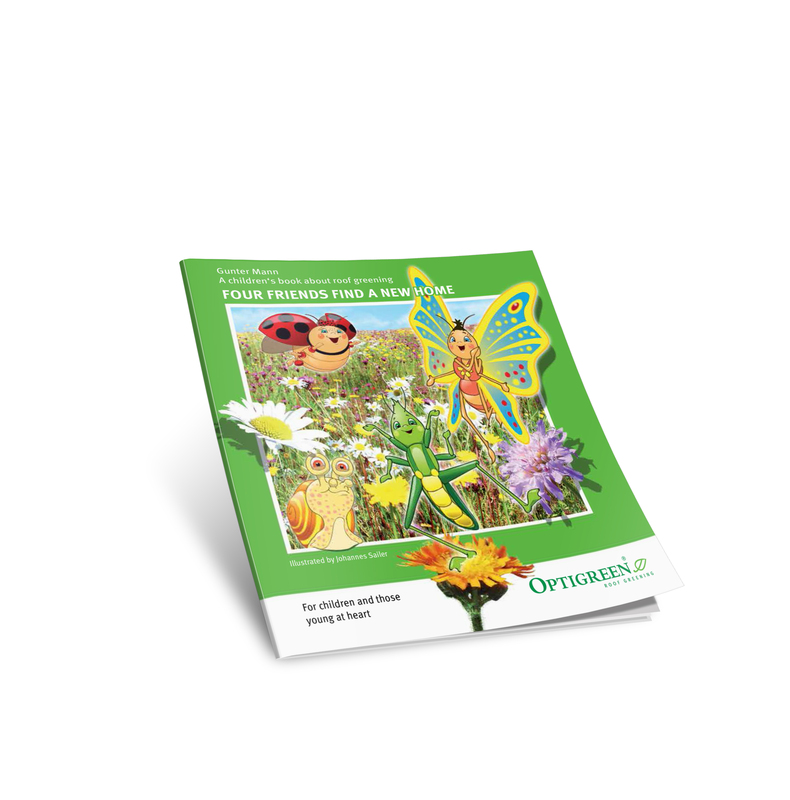 "Four Friends find a New Home" - is the title of a recently published Children's book by Optigreen. The book is about a group of animals that are driven out of their habitat due to construction work and have to start looking for somewhere else to live. After wandering around they end up in a seemingly inhospitable city where they find unexpected shelter and a new home. This delightful picture book is not only meant for children but young at heart adults. Recently published - the children's book about roof greening. A book for every age!